How to choose the perfect Christmas gift for that special, boat-loving someone. Selecting the right gifts for family and friends is hard. It’s a busy time of year, there’s always a crazy rush at the department store and you never know if what you’re giving is right. But don’t worry! We’re making it easier. Selecting gifts for people who love sailing holidays doesn’t have to be that hard. If you have friends or family who love the sea, love boats, or just plain love to travel, we’ve got a list of christmas gifts that’s right for them. 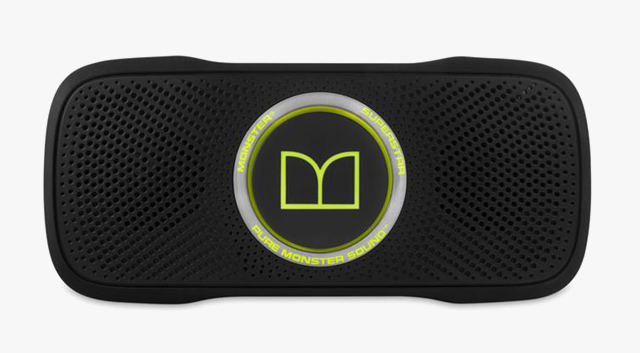 The Monster Superstar Backfloat Bluetooth Speakers are our top pick for travellers. They’re compact at only six inches, so they’re small enough to toss in a backpack or suitcase. They may be small but these speakers pack some serious sound, delivering decent volume and lots of base. The Monster Backfloat speakers may be waterproof, but aren’t designed to be submerged for long periods of time. They are, however, the perfect speaker to blast tunes from while sitting on the side of the boat or at the beach. An underwater camera is a must for any seaside traveller. The ability to capture moments of snorkelling or swimming in crystal clear water with a bunch of friends is priceless. The Olympus Tough TG-3 camera is waterproof, shockproof and freezeproof. Dive down up to 50 feet and capture your underwater adventures. This camera shoots seven frames per second and the image quality is fantastic, with the help of stabilisation and optical zoom. With a fast f/2.0 lens that’s great in low light, the Olympus Tough TG-3 is our top pick for underwater summer fun. Picture this: you’re floating down a river toward your friend’s’ yacht, and you realise you left the drinks back on your own boat. Problem! 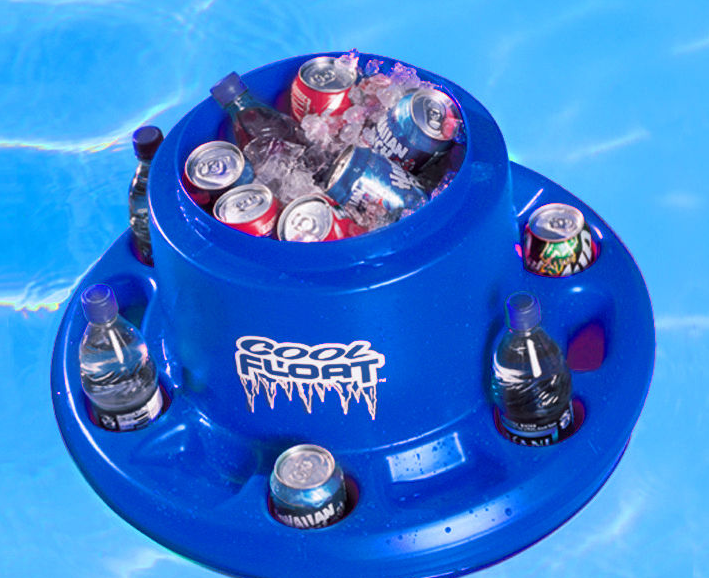 Solution: floating coolers are perfect for anyone who loves to be by the sea. Have your drinks nearby when you’re anchored in a stunning bay or cove with the Gander Mountain Floating Cooler. It can hold up to 18 cans with six drink holders and even includes an anchor connector. 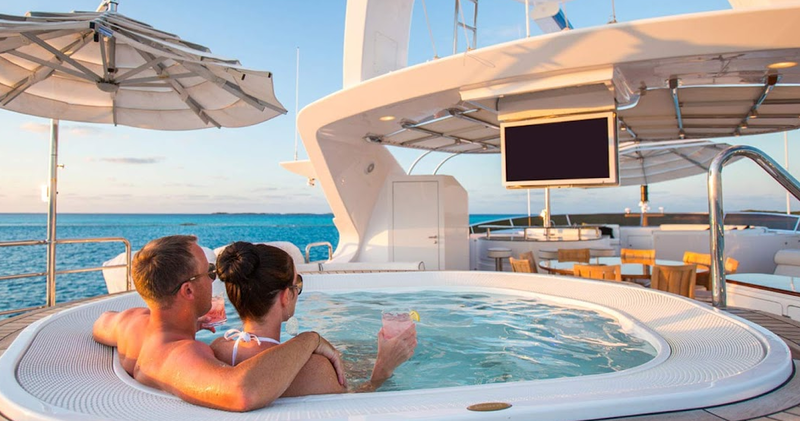 Boat holidays are great, but have you ever wished you were a little more comfortable while sitting on deck or at the beach? The Westmarine Go-Anywhere seats will change that. 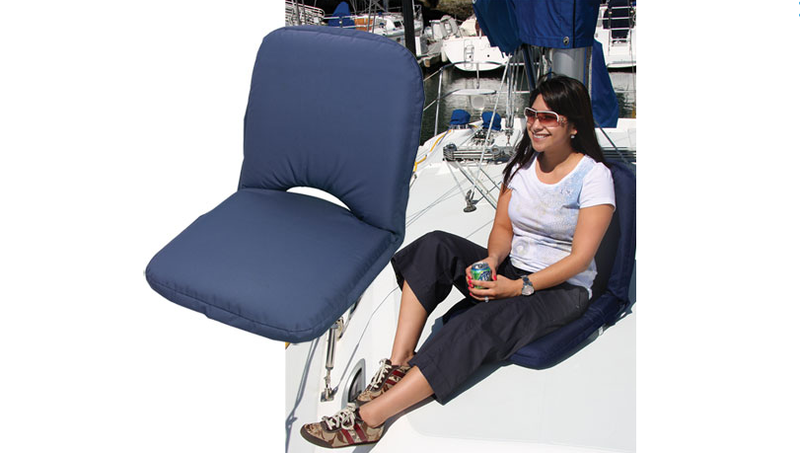 These seats feature two UV-resistant, polyester cushions on a steel frame with a five-position ratchet hinge. Perfect for relaxing with a book under the sun. 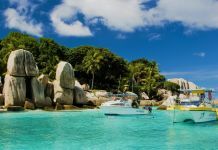 For travellers — especially boat lovers — who like to have their phones and iPads with them at all times (and, let’s face it, this is most of us), gadget protection is important. There’s nothing worse than watching your phone slip through your fingers and into the sea. Trust us — we’ve been there. Even if you keep your phone safe on deck, water and sand still somehow manage to infiltrate your precious tech. So, the ultimate solution is the Lifeproof phone cases. They have iPhone, iPad, iPod, Samsung and Motorola cases, and they’re all waterproof, dustproof, snowproof and drop resistant. With an open face and glare resistant design, and the ability to survive up to six feet in the deep blue, we think it’s the best out there. It’s super important to stay hydrated while travelling. 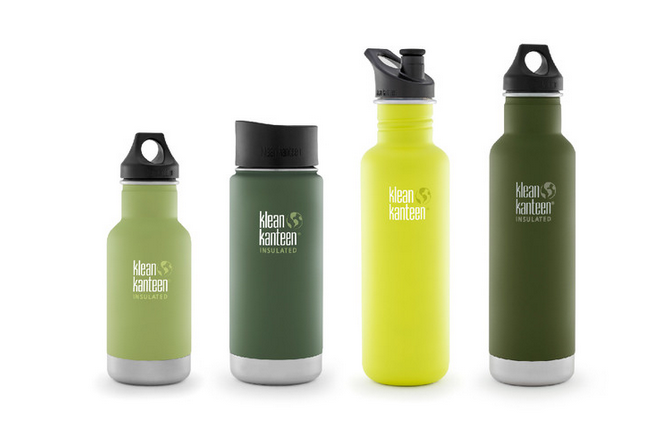 Plastic water bottles are bad for our health, our pocket and the environment, so a product like Klean Kanteen is perfect. These bottles are stainless steel so you won’t have to worry about any potential chemicals, and there are no unwanted smells or tastes. The Klean Kanteen bottles are lightweight and durable and the base is wide enough to fit comfortably into a cup holder. The bottle’s loop cap makes it perfect for tying to a backpack for day trips, and all Klean Kanteen bottles come in various shapes and sizes. There’s no point in sailing the world’s most beautiful seas if you can’t dive in and see what’s down there. 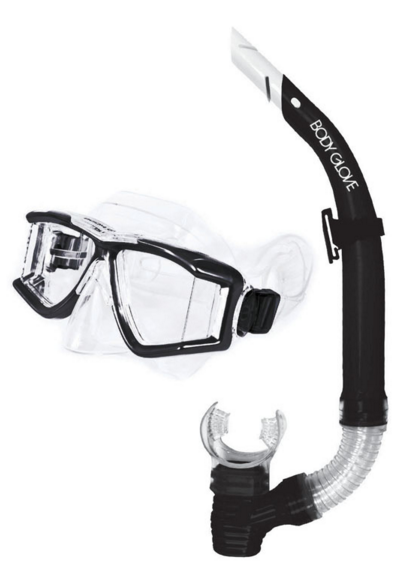 A solid snorkelling set is a must-have for any sailing holiday, and they’re usually small enough to fit into a suitcase. Our favourite is the Body Glove Ignite Purge Combo. It’s got a firm seal with a soft fit, and super clear tempered glass lenses to allow clear viewing of all the coral, fish, and marine life lurking at the bottom of the ocean. If your loved ones are spending their sailing holiday with a skipper, they won’t need any gadgets or maps to help them sail. 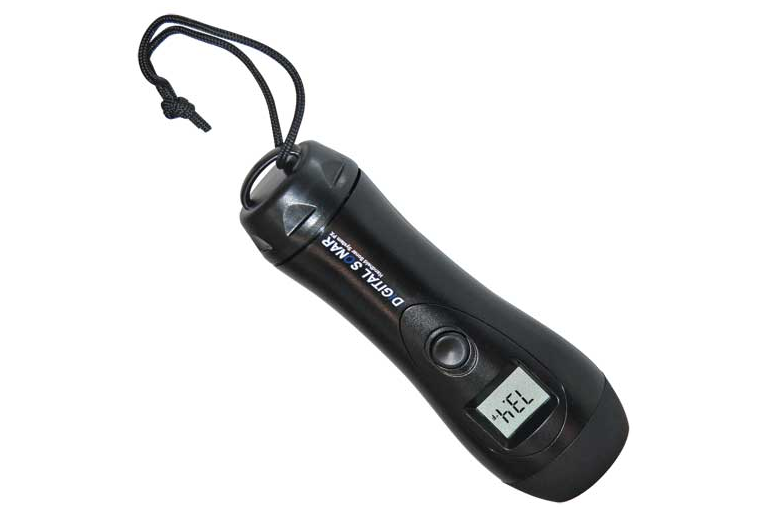 If they’re sailing themselves, however, a handheld depth-finder like the Norcross Marine H22PX is the perfect gift. The Norcross Depthfinder allows you to aim its beam wherever you choose and press the button to get real-time depth measurements, fishing signals, and water and air temperature readings. 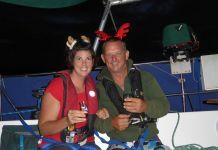 Take it diving, snorkelling, crabbing or fishing. It can be a little risky travelling with these, but as long as you keep them safe in your checked luggage you should be fine. Pocket knifes, like this one from Victorinox, are invaluable on a boat. You’ll have access to a corkscrew, a bottle opener, tweezers, scissors, a fruit peeler, a screwdriver, a ruler, a small pen, a small compass and nail file, all in one neat, lightweight, compact pack. The Victorinox Midnite Minichamp is one of our favourites. Not only does it have all these things, but they’ve even included an LED light to help you see when crawling around your cabin at 12 a.m. This might be the largest and most expensive gift on our list, but it’s definitely the coolest. 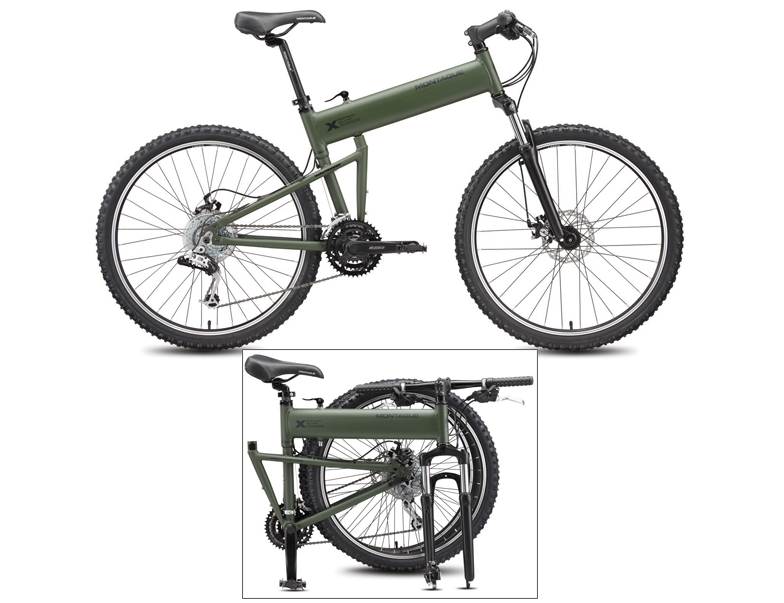 As soon as you hit the marina you’ll be ready to start exploring with the Montague Paratrooper Folding Mountain Bike. It requires no tools to unfold, and it folds back up into a neat 36″ x 28″ x 12″ size in under thirty seconds. This full-size, rigged mountain bike can take on any terrain, and comes equipped with front suspension, 24-speed EZ Fire Plus® shifters, and heavy duty double cage aluminium pedals. Sadly, with the Christmas season comes cold temperatures, snow and grey skies. So we realise it might be hard to imagine using these gifts any time soon. Well, guess what? 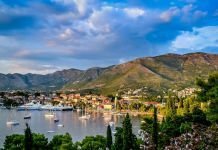 There are some incredible winter sailing destinations bringing serious heat right now, so pack your swimmers and check out our list of top winter holiday destinations 2015/16. Want to give the ultimate Christmas gift? Book a 2016 sailing holiday for your friends and family and give them a present they’ll never forget. Did we miss any of your favourite boating products? Let us know in the comments!